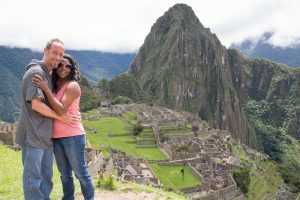 Mike Scott ’71 admits that talking about friendship isn’t his strongest point, but he’s more than happy to acknowledge that his Augsburg friendships were the best part of his Augsburg experience. 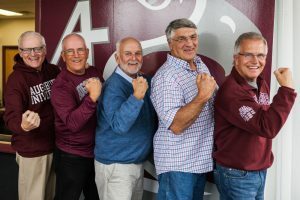 Mike and four of those Auggie friends—Larry Stewart ’72 , Tim Casey ’71, Mike Good ’71, and Bruce Santerre ’71—have maintained communication since graduation, and their friendship has survived the test of time. As a group of five, the men have put a priority on keeping in touch; they have celebrated marriages together, consoled each other in difficult times, and gotten to know each other’s children. As far as friendships go, these men share a connection so strong they consider themselves ‘almost’ family. The five men pulling their infamous pose. In the fall semester of 1967, the academic year was pushed back for a short period of time to accommodate the completion of Urness Tower. All non-commuting football players were accommodated in Memorial Hall until the semester started and they could be placed in permanent residence halls. It was there that Mike Scott met his very first college roommate, Larry Stewart, as well as Tim Casey and Bruce Santerre, who roomed next door. Besides playing football, the men shared another common thread; they were all from rural out-state. 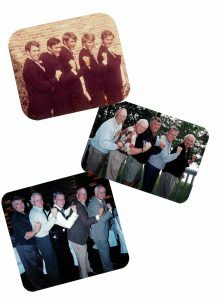 The four men connected as teammates, as neighbors, and by their rural upbringings—and they became friends. When the fall semester eventually started, the four were moved to Mortensen Hall where they would be living on a full-time basis. As chance would have it, on moving day Mike Scott encountered a familiar face and an old acquaintance, Mike Good. The young men had met years earlier through coincidence, when Mike Good was visiting family in Mike Scott’s hometown of Renville. If this was not surprising enough, the men discovered that Mike Good had been assigned to be Tim Casey’s roommate. This sealed the deal; the initial group of four quickly became five and a friendship blossomed that would span the course of the rest of their lives. As the delayed academic year trickled into summer, on one lazy afternoon when they were feeling bored and desperate for entertainment, the five men, along with some fellow Mortensen Hall buddies, decided to take a hilariously posed photograph where they flexed their arm muscles or “guns.” Little did they know at the time that this photograph would be the start of a picture-taking tradition that would mark the significant times of their lives, like weddings and reunions. Throughout college, the five either lived together, or within one house of each other. As life took them on their individual journeys, they continued to support each other and strengthen their friendship. From babysitting one another’s children, to taking on important duties for each other (Larry is the godfather of Mike Scott’s son, Kelley), to incorporating spouses and ‘special’ friends – their friendship has never wavered. Today, although the friends are not physically together (due mainly to career paths that led each to his own location), the group continues to share an incredibly strong bond. At the 2017 Augsburg University Homecoming in October, the five men reunited for another photograph. Although time has changed the faces in the photographs, the deep friendship of these funny freshmen who were inspired by boredom to take a silly photograph in 1968, lives on. The Augsburg University Alumni team are serving up a slice of fun! Come and join us at Tony nominated musical “Waitress” on Wednesday, November 22 at Orpheum Theater. 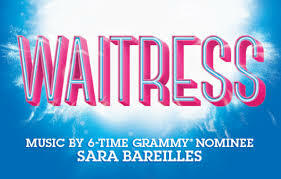 Featuring music and lyrics by 6 time Grammy nominee Sara Bareilles, the show is guaranteed to be a great time– and at $34 per ticket, this deal is as sweet as pie! Starting at 6 p.m. we will be hosting a pre-theater reception at the Brave New Workshop with plenty of pie, soft drinks and a cash bar. At this reception we will be hosting a talk by Theater professor, Darcey Engen ’88, on the significance of “Waitress” serving up Broadway’s first all-female creative team. This is an event you wont want to miss– described by Vanity Fair as “a black-and-white cookie where the comic and tragic edges touch but don’t mix” where “you’re laughing one minute… [and] you’re engaged with the difficult things these characters are going through the next”. Tickets for this event are unfortunately sold-out but if you’re interested please call Becky Waggoner on 612-330-1085 to be put on the wait list! As a child growing up in Chicago, Danielle Stellner ’07 heard mixed messages in her community about the importance of education. But in her family–a family of modest means–there was never any doubt that excelling in school was non-negotiable. Her mother made that clear. 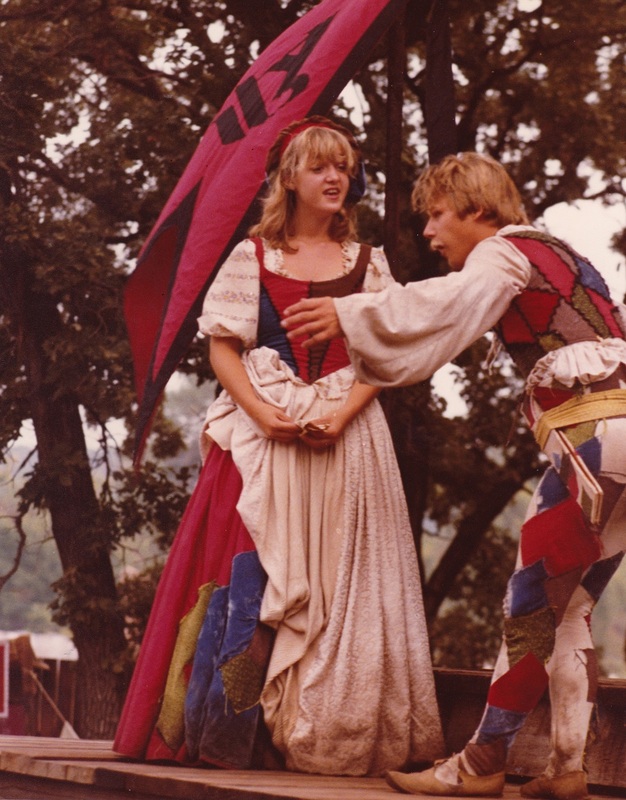 Then, at the age of 18, Stellner herself became a mother. She knew her son was a real blessing. She also knew she yearned for something more in life, but she wasn’t sure what. 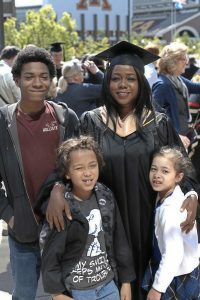 As she looks back over the years now, she is impressed at how dramatically access can change one’s life and trajectory. Access to college, access to job opportunities, access to mentors. One such mentor for Stellner was Erik Nycklemoe, an early supervisor in her career whom she sees as the first person to care about her career and life development. He made it possible for her to earn her B.A. from Augsburg, she says, making her the first in her family to earn an undergraduate degree. 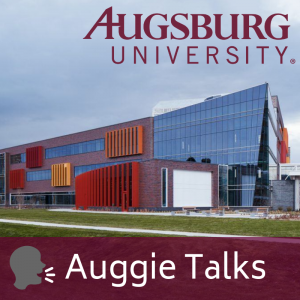 Access to evening/weekend study at Augsburg’s Weekend College (now Adult Undergraduate program) was a real break for Stellner, who needed to balance studies with being a working mom. 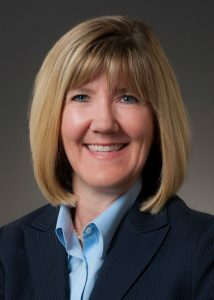 She also found time to complete an MBA from the Carlson School of Management, where she had access to another mentor, Lisa Bittman–a Godsend, and a grounding force through some tough years, she says. In the whole process, Stellner fell in love with Minnesota and with her now-husband, Herbert Stellner, and they later welcomed two more children into the family, Herbert Stellner IV (9) and Clara Gem Stellner (7). Stellner recalls her student days at Augsburg with gratitude, especially the fantastic lecturing of Dr. David Matz (sociology). In recent years she has reconnected with her alma mater, thanks to Shelby Andress ’56, who introduced her to the Augsburg Women Engaged (AWE) group–”the most incredible group of women I’ve ever met,” says Stellner. She is grateful to now be serving as co-chair of the AWE Council. Stellner also serves on the board of Friendship Academy of the Arts, a blue-ribbon school that serves predominantly African American students, and on the board of Isuroon, an organization committed to self-sufficiency of Somali women and their families. Recently elected board secretary, Stellner is drawn to the organization by its dedication to changing the narrative that is portrayed in mainstream media to one that more accurately reflects the true family values of Somali culture. Even with a demanding work schedule, Stellner and her family manage to keep a garden, and take delight in eating the fruits of their labors. But they wouldn’t mind some additional time with no agenda–time for family play, reading for pleasure–and perhaps a few extra hours of sleep. During Homecoming this fall, Stellner will be honored with Augsburg’s First Decade Award. 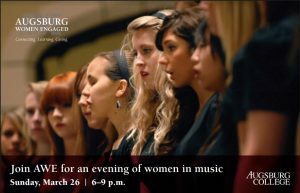 Join the Augsburg Women Engaged (AWE) Philanthropy Council for an evening of choral music by, for, and about women! 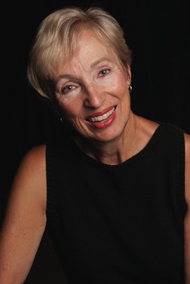 Nancy Grundahl will lead the Augsburg College Riverside Singers in the annual WomanVoice: Voice of Hope choral concert. Women’s choirs from around the area, including the University of Minnesota Women’s Choir and Encore! of the Twin Cities Women’s Choir will join hearts and voices to sing music by, for and about women. Space is limited. Parking permits will be provided. RSVP by March 20 to Becky Waggoner, Alumni Relations Program Coordinator, at 612-330-1085 or waggoner@augsburg.edu. The Riverside Singers, directed by Nancy Grundahl, carry on the long tradition of treble choirs at Augsburg College. The singers participate with other Augsburg musical organizations in the annual Advent Vespers each Christmas season at Central Lutheran Church. Participating in chapel services several times during the year is an important part of the choir’s mission, as is hosting an invitational treble choir festival each fall. 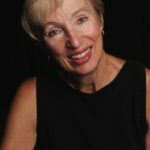 Nancy Grundahl is a conductor, composer and soloist and holds vocal performance degrees from St. Olaf College and the University of Minnesota. In addition to her position with the Riverside Singers of Augsburg College, she is the conductor of the Angelica Cantanti Concert Choir, a youth choir based in Bloomington, Minn. and is the Director of Music at Mayflower U.C.C. in Minneapolis. More than sixty of her arrangements and compositions for choirs have been published by Kjos, Hal Leonard, Augsburg Fortress, Alliance, and Santa Barbara music publishers. 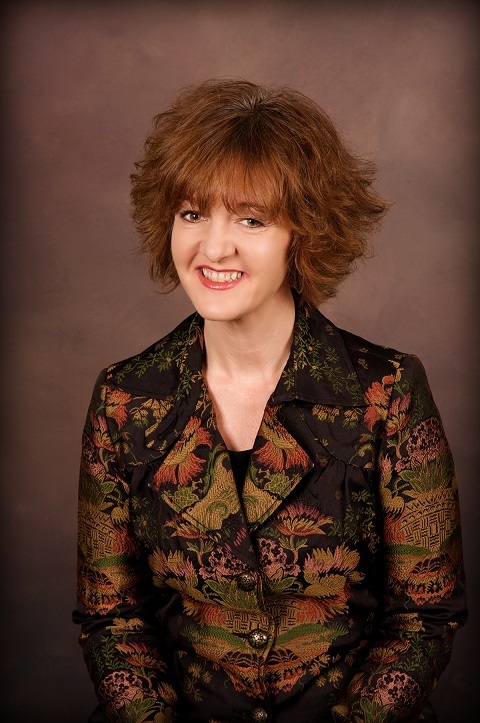 She conducts honor choirs throughout the upper Midwest and is active as an adjudicator, clinician, soloist, and guest conductor. The AWE-Inspired Philanthropy Council was created in 2015 to function in an advisory and support capacity to Augsburg’s Office of Institutional Advancement. Our goal is to strengthen the culture of philanthropy among Augsburg women of all ages. We focus on ways to educate, engage and celebrate Augsburg’s alumnae donors and women in the community. AWE-Inspired Philanthropy Council: Shelby Andress ’56; Debby Crowley ’76; Rachel Engebretson ’98; Lisa Latham ’83; Joni Marti MAL ’05; Lori Moline ’82; Kris Pearson ’78; Cindy Sisson ‘83; Danielle Stellner ’09; and Lisa Zeller ’81, MAL ’89. Augsburg Women in Philanthropy (AWE) is excited to formally create the AWE-Inspired Philanthropy Council. The Council functions in an advisory and support capacity to the Office of Advancement. Our goal is to strengthen the culture of philanthropy among Augsburg women of all ages. We will focus on ways to educate, engage and celebrate Augsburg’s alumnae donors. Just two years ago, a small group of AWEsome women put up a bold goal—to raise $100,000 and sponsor a student study lounge in the Center for Science, Business, and Religion. We went on to surpass our goal and to date have raised $126,000. There is still time to be a part of this landmark campaign that will close on December 31, 2015. This shows what a committed group of women can do. 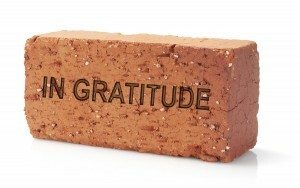 It is no surprise that the secret to making positive and lasting change in the world is hidden in plain sight. In fact, it is more than half of the population. Women vote more, volunteer more, and give more to charities than men. They control more than half of the total wealth in America! This campaign has generated so much enthusiasm and renewed so many wonderful memories and stories of Augsburg legacy. Before the campaign closes on December 31, there is still time to honor a special person, a faculty member, Auggie family members, and classmates. The personalized brick wall will have a prominent space in the new building. “Thank You, Dr. Norma Noonan” • “Our friendship is a Phoenix: Britt, Wendy, Jen, Tash, Steph, Jodi” • Delta House ’72-’74: Lien, Lus, Tesmer, Turrittin • Mrs. Pete, Teacher, Mentor, Friend” • “Psalm 25: O Lord … teach me your paths” • “Thank You Augsburg College!”; AWE-Inspired! There is still time to participate! Contact Donna McLean at mclean@augsburg.edu to plan your tribute. We are women. 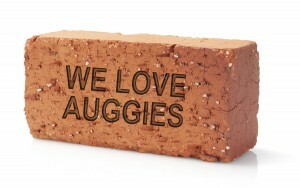 We are Auggies. Leading the way – creating confident, joyful donors! 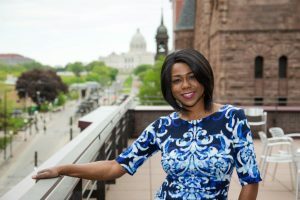 When Kari (Eklund) Logan ’82 agreed to assist a client in raising public awareness of the value of trees, she decided to hang huge price tags on the trees in the front yard of Minnesota’s State Capitol. The client, the Minnesota DNR’s Division of Forestry, was pleased. In fact, the rush of media attention that followed resulted in the act’s replication by foresters across the country and even other parts of the world. At CEL Public Relations (Plymouth, Minn.), where Logan heads up the media relations team, capturing the public’s imagination is the norm. With eight years’ prior experience in TV news and programming (WCCO-TV and KSTP-TV), Logan is well-connected and can pull out all the stops (websites, newsletters, TV coverage, campaigns, and numerous other marketing communications) in order to assist CEL clients. Primarily a writer, she especially enjoys the diversity of subjects that cross her desk every day, including CEL’s signature areas of service—education, urban forestry, financial services, and the arts. Having joined the firm in 1990, when it was only two years old, Logan has helped increase awareness in numerous areas, including pregnancy and infant loss, Alzheimer’s disease, Parkinson’s disease, and eldercare. She has worked and dined with famous chefs, including Ina Garten and Andrew Zimmern. In 1993 she became a partner in the firm. Augsburg women of all generations are invited to a morning of engaging conversation, laughter, and inspiration. Augsburg Women Engaged (AWE) and the Augsburg Associates are teaming up again this year to continue the conversation. Attendees will get a glimpse into the life stories of Augsburg women through music, art, drama, writing and the spoken word. Together, we will come to a better understanding of how we can find peace and confidence in measuring up amid life’s challenges and rewards. Auggie women of all ages are invited to attend! The recent AWE-inspired event Spirituality: Going Deeper. Insights from Christianity and Buddhism was exactly that – inspiring! St. Thomas Law Professor Susan Stabile shared her spiritual journey from her Catholic childhood in Brooklyn, New York to taking a vow as a Buddhist nun and back to where she is now, a practicing Catholic. Augsburg Religion Professor Marty Stortz hosted the evening in a room filled with Augsburg alumnae and friends who were eager to learn and fascinated by Susan’s story. After telling her story, Susan led participants in a Buddhist meditation exercise that she has adapted for Christian meditation, designed to send healing intentions to friends and family members who are suffering. This meditation is found in her book, Growing in Love and Wisdom: Tibetan Buddhist Sources for Christian Meditation, available on amazon.com. The AWE advisory council will explore options on recommendations for a half-day retreat with Marty Stortz and Susan Stabile within the next few months, based on a recommendation from the group. AWE is a catalyst for tapping the potential for women to connect, learn, and give. We believe all women have knowledge, experience, and resources to share. 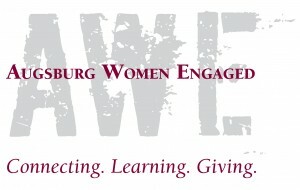 Therefore, alumnae are invited to make meaningful connections with and for Augsburg’s AWEsome women by participating with an AWE Action Team. We welcome participation in whatever way best suits your interests, circumstances, and availability. If you would like more information please contact Sara Schlipp-Riedel at 612-330-1178 or schlipp@augsburg.edu.